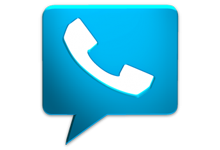 Google Voice enhances the existing capabilities of your phone, regardless of which phone or carrier you have - for free. It also gives you one number, online voicemail, and cheap calls. Google Voice gives you one number for all your phones, voicemail as easy as email, free US long distance, low rates on international calls, and many calling options.